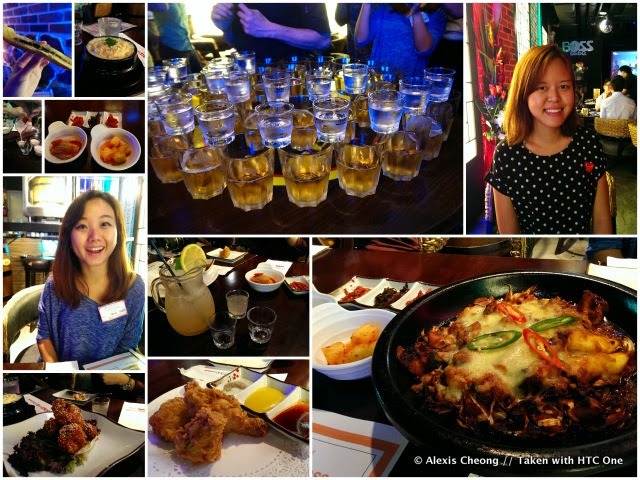 I was kindly invited by food&travel magazine to join their Clarke Quay food trail a couple of weeks ago, and little did I know that it would turn out to be an EPIC food trail. We went to 4 stops - Tomo Izakaya, Boss BarBQ, TongKang Riverboat & Coriander Leaf and were completely stuffed by the end of the 4.5 hour eating session, from 7pm to 11.30pm. I never knew that there were so many quality dining options at Clarke Quay before this - emphasis is on quality, and variety. It is definitely a great dinner spot to consider and even for lunch - free parking at Clarke Quay during lunch on weekdays makes it easier on the wallet. 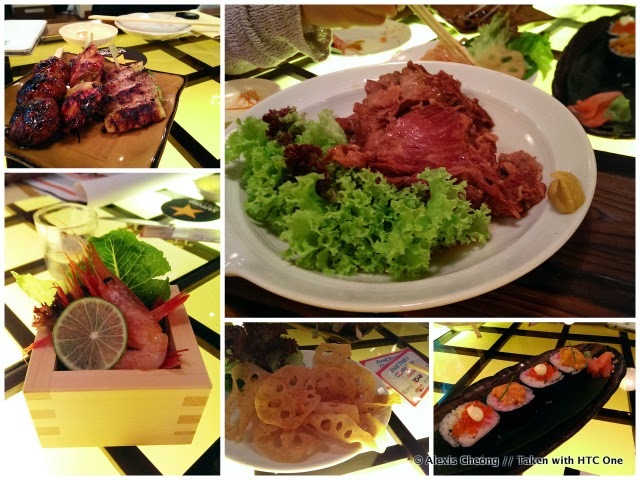 Our first stop was at Tomo Izakaya, where the highlight of the event was the pulled pork dish. So soft and tender that it literally melts in your mouth with the umami taste that makes you want to have a huge bowl of rice with it! Great place to just order small plates, and have it with your Sake or beer. 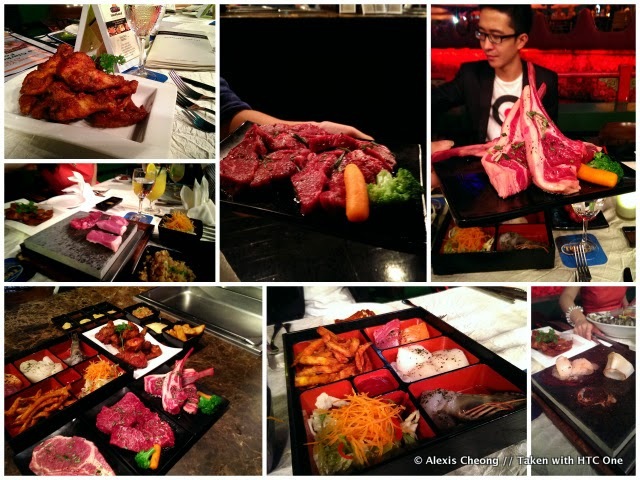 Our second stop is Boss BarBBQ - a Korean barbeque, bar and restaurant with a wonderful menu of authentic Korean food. When I first saw this on the itinerary I was a little apprehensive since most Korean BBQ places I know about stank of of the grease. But thankfully Boss BarBBQ is nothing like that. Airy and comfortable, it is a great place to knock back a few Sojus and shots with your fried chicken! Their chili cheese chicken was super spicy - readers be warned. We also had some fun with the Soju Bombs. Here you can see my take, and latter from MissTamChiak, who did an impressive job. By then we were quite happy. Our third stop, TongKang Colonial Bar & Restaurant, was someplace I've never noticed before - do you know there is a riverboat on Clarke Quay? I never knew! 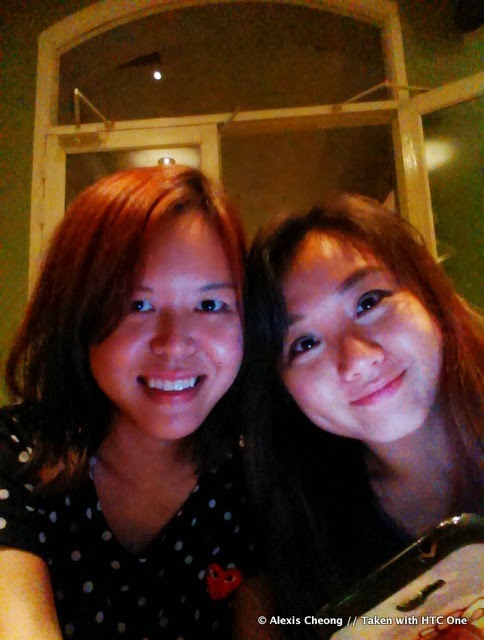 Opened by the same founder of Hot Stones, TongKang specializes in hot stone cooking and brilliant atmosphere. The spread was fantastic - you can see here we have everything from lamb to beef to seafood to oysters (not pictured), which were really fresh and fat. The waygu was unforgettable. If you want to order 1 thing from here, order the wagyu. By the last stop we were sufficiently stuffed, having spent almost an hour at TongKang trying to eat everything (we did our best). 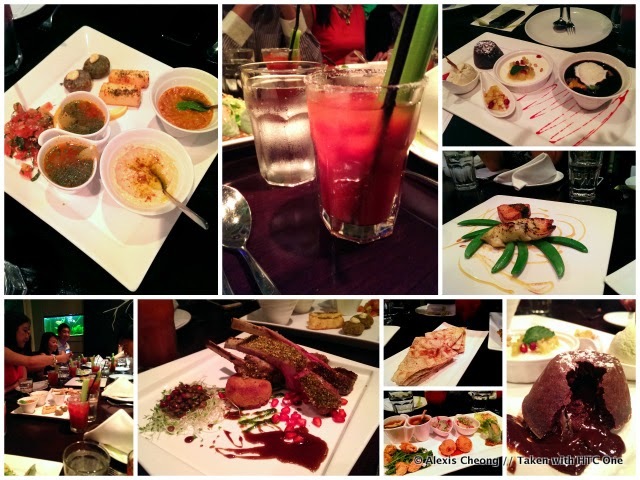 Coriander Leaf is actually a modern Pan-Asian restaurant that serves up delightful interpretations of traditional cuisines from Thailand, Lebanon, Iran, Pakistan, India, Myanmar and etc. As a result we were treated to platters from all over the region, from Hummus to Tandoori Chicken to Thai tom yam, and ended with a delightful trio of desserts of which the glutinous rice pudding with ice cream was my favorite of all. They also sell homemade chutneys, which we were gifted and they are AMAZING. Try it! Check out a video highlight I've made using the HTC One. Many thanks to +stooffi for being my food trail buddy - one's gotta be able to stomach it! Lastly, thanks to food&travel magazine for the lovely invite - I'll be following your Facebook Page for more updates, and also future food tours!